When the world first met Aziz Ansari in the late 2000s, he was the ultimate fun-loving stand-up, telling ridiculous stories about his little cousin Harris and chilling with Kanye West, all filled with topical pop-cultural references. But in recent years a transformation occurred: Aziz transitioned into one of the most thoughtful comedians on the scene, exploring the immigrant experience and everyday sexism by creating a dialogue with his audiences. His new Netflix series, Master of None, out today, has picked up glowing reviews all week for its sharp takes on race, gender, friendship, and its warm sensibility. And while promoting the show, Ansari has been more open about Hollywood racism than ever. Here’s a look at how he got here. He was no slouch academically, attending the South Carolina Governor’s School for Science and Mathematics, a public boarding school for gifted students in the state. 2000–2004: Ansari enrolls at New York University, studying marketing at the Stern School of Business. But he is more inspired when he goes to his first stand-up show, at the Comedy Cellar in Greenwich Village, and he begins doing open mics as a student, performing at local clubs like Comic Strip Live, focusing his comedy on pop culture, relationship woes, and Cold Stone. Rather than transfer to the Tisch School of Arts, Ansari decides to stick it out at Stern. (“I stayed with Stern because marketing was … how do I put this? … it wasn’t too rigorous on the workload.”) And he starts laying the groundwork for his comedy career, often spending his weekend nights in college in Times Square, handing out flyers to tourists to come to his shows. 2006: Ansari starts getting some broader critical recognition, winning the Jury Award for “Best Standup” at HBO’s U.S. Comedy Arts Festival. 2007–2008: MTV picks up the show Human Giant, a sketch show Ansari co-created with Huebel, Scheer, and filmmaker Jason Woliner. The quartet had already been producing comedy shorts, riding the wave of early internet videos. Human Giant aired for two seasons on MTV. The show was not canceled, as some assumed — the creators moved on when Ansari signed on as a regular on Parks and Recreation. Ansari filled the feed with an enticing variety of personal posts, from Human Giant exclusives to his thoughts on then-senator Obama to an overwhelming number of food photos. Reading it felt like an intimate experience, and for followers it established Ansari as a relatable, excited, tasteful young guy who likes LCD Soundsystem, writes Friday Night Lights fanfiction, and hates Time Warner as much as you do. 2009: Ansari appears in the Judd Apatow–Adam Sandler film Funny People as Randy Springs, a.k.a. Raaaaaaaandy, an obnoxiously successful comedian. 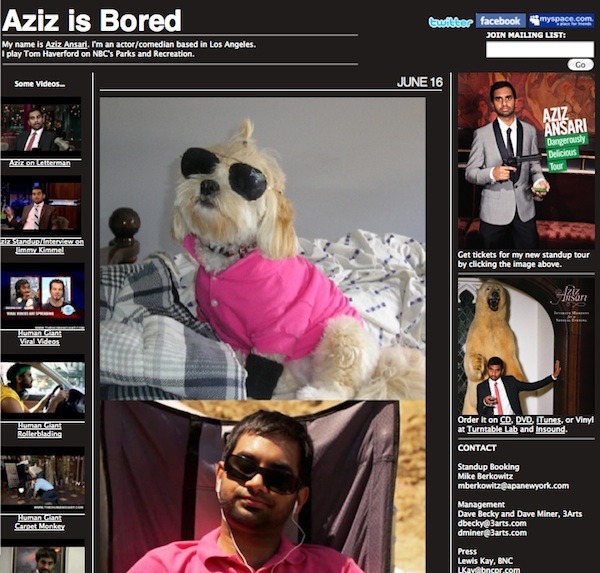 A character evolves out of the movie, starring in his own digital shorts and eventually becoming Ansari’s stand-up alter ego. Randy appears in Ansari’s first stand-up special, 2010’s well-received Intimate Moments for a Sensual Evening. 2015: Ansari’s fascination with the way dating and romance have evolved in the technological age became such a staple of his stand-up that he writes a book, Modern Romance: An Investigation, with sociologist Eric Klinenberg. He reportedly signs a $3.5 million deal for the book, and it debuts on the New York Times’ best-seller list. 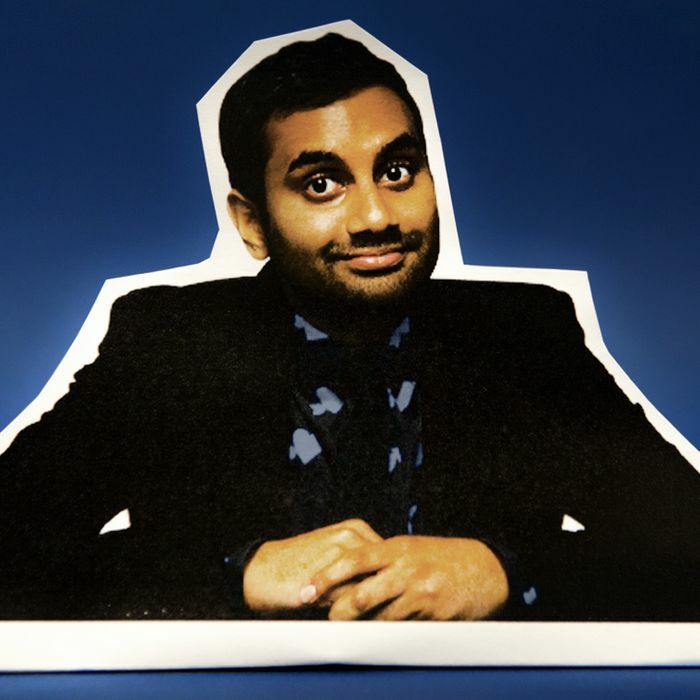 The book’s success proves the marketability of Ansari as an overall star; the same year, he debuts on Forbes’s list of the highest-paid comedians at No. 6, reportedly pulling in $9.5 million. Today, Ansari’s new series, Master of None, co-created with former Parks and Recreation writer Alan Yang, debuts on Netflix. He writes, directs, and stars in the dramedy, which has been called Ansari’s Louie. It follows his character Dev, an actor attempting to make it in NYC. Dev’s parents on the show are played endearingly by his real parents, Shoukath and Fatima (Shoukath in particular is a crowd-pleaser), while the range of Ansari’s acting abilities really come through in his role as Dev. Earlier in the year, Ansari described the show as “more like 1970s comedies that are kind of grounded, really funny, but talk about real things,” citing films like Tootsie and Manhattan. It touches on everything from the lack of opportunities for minority actors to women walking home alone at night to why we’re not more decent people to one another. And at EW Fest last month, Ansari spoke more candidly than he ever has about how limited Hollywood still is in its view of race (“there would never be two Indian people in one show,” he said), an issue he covers extensively in the “Indians on TV” episode of Master of None. The show — which the New York Times called “the year’s best comedy straight out of the gate” — marks Ansari’s full transition from energetic stand-up to serious-minded Hollywood power player. You can watch all ten episodes of Master of None on Netflix.